A great add-on accessory for family camping trips, the Front Porch is an easy way of increasing the size of your tent's living space or gear store. 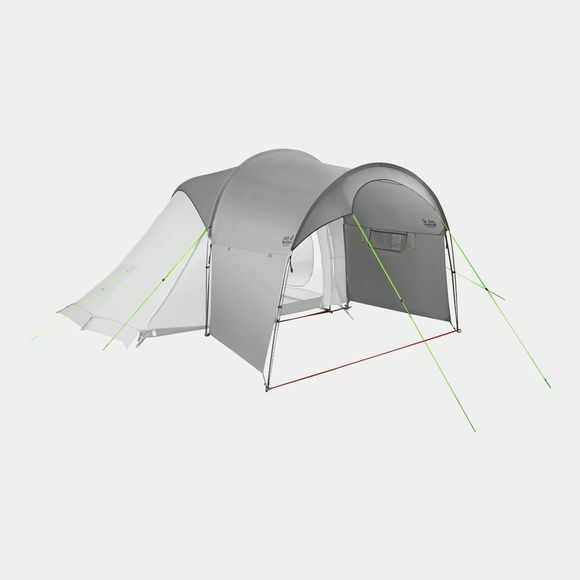 This large awning is compatible with all our family tents. It effectively creates an extra, standing-height vestibule for your tent and increases the roofed living area by seven square metres–enough space for a dining area, cooking area or bike storage. It comes with two long poles and several guylines and is very easy to rig.